A photograph taken at Long Pine Key of Everglades National Park. A fern is pictured on the left. 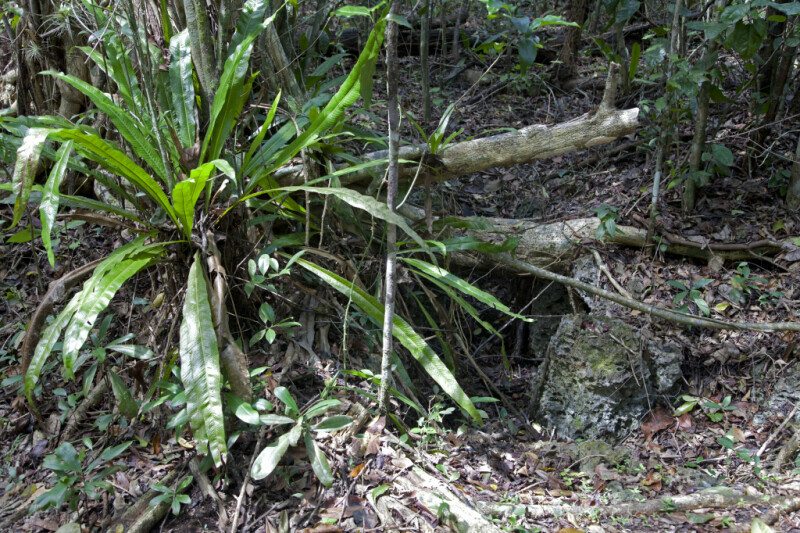 A hole under a fallen tree branch can be seen to the right of the fern.